The love-bombing of Ando had begun a day earlier in Aix-en-Provence in the south of France at the home of Paddy McKillen, an Irish developer who owns Dublin’s Clarence Hotel, along with Bono, Edge, U2’s guitarist, and Derek Quinlan, another developer. There to discuss the design of a small art gallery for McKillen, Ando was amazed when the artists Sean Scully, James Turrell and Anish Kapoor arrived for lunch. France’s greatest architect, Jean Nouvel, who is designing a winery on an adjoining site, also dropped by. Lord Foster, architect of the new Clarence, piloted his jet down from London just to say hello before dashing off to Barcelona to unveil his revamp of the legendary Camp Nou stadium. Neither man any longer seems fulfilled devoting all his energy to the calling at which he once achieved real greatness. Somewhere along the line the creative work ceased to be an end in itself and became the means to an end. The Great Hanshin earthquake of 1995, in which Kobe was devastated and 6,000 people died, had a profound effect on Ando and his career. “As I was working as an architect, I started to think what I could do for society, because I was gaining influence. 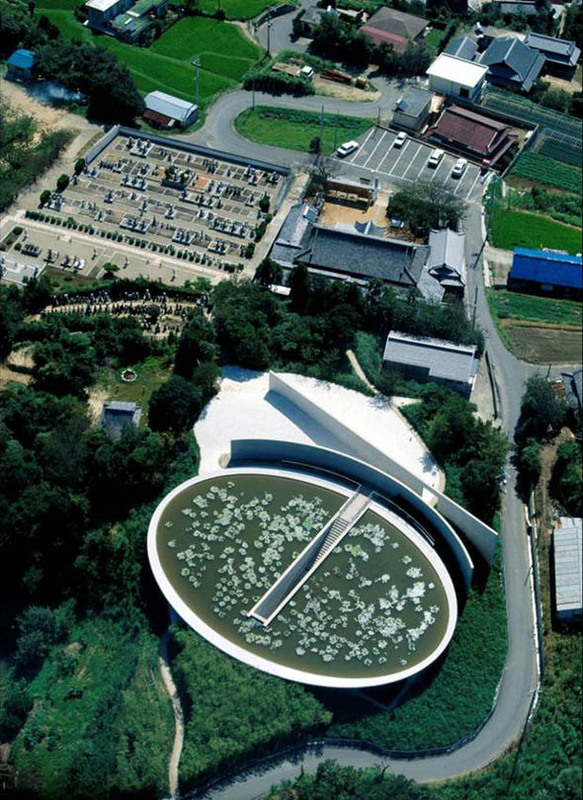 Mother Earth is very sick, so architects should speak out more.” Ando has become a modern-day Johnny Appleseed, whose numerous campaigns – including the Hyogo Green Network and the Setouchi Olive Foundation’s Little Acorn Operation – have led to the planting of millions of trees by volunteers, many of them children, throughout Japan. He had wanted to be an architect from the day he helped a carpenter extend his grandmother’s house when he was 15 years old. 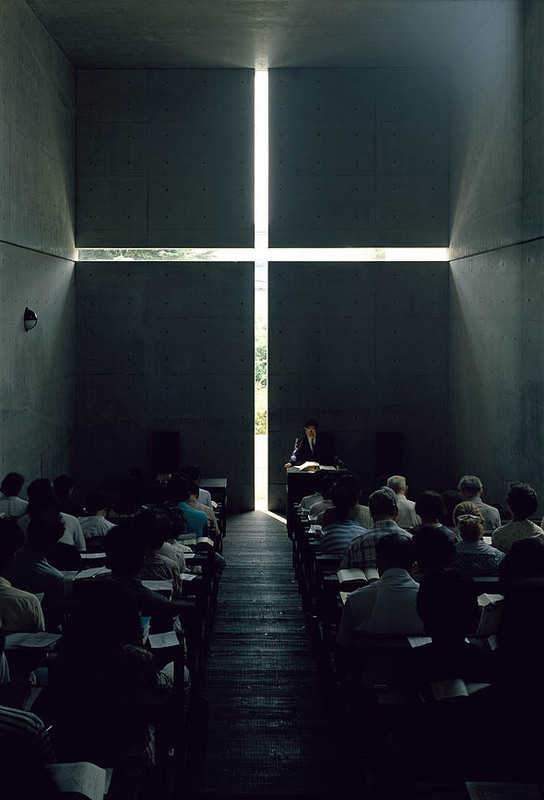 “In Japan it was thought that only those from the socially elite can be architects,” he says. “But if you give your whole soul, you can.” He had discovered a book on Le Corbusier in a second-hand bookshop about the same time and “turned its pages black” from copying and recopying the plans. “By repeating and repeating, you come gradually to understand more and more,” he says. He is self-taught, largely through frequent travelling with a sketchbook in Japan, Europe, Africa, India and the United States from 1962 until he opened his office in Osaka at the end of the 1960s. Almost three decades later, Ando became the first mere high school graduate appointed as a professor at Tokyo University. But something was lost along the way – and not through tiredness or lack of effort. His stamina, even at an age when most of his contemporaries are retiring, has not slackened. Perhaps too many prizes and accolades are dangerous for artists. Whatever, Ando the outsider was the more interesting architect. 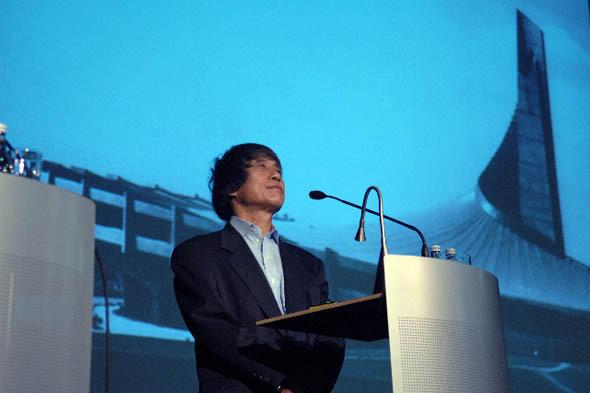 The change in his work was becoming evident 15 years ago – although it was not noticed at the time – at the World Expo in Seville, where his Japanese Pavilion, one of the largest wooden buildings in the world, was the star of the show, a spectacle of globalisation. Part temple, ark and circus tent, the massive structure seems in retrospect to have outgrown its content and adopted a celestial scale borrowed from the untempered monumentalism of Étienne-Louis Boullée, the 18th-century French neoclassicist. 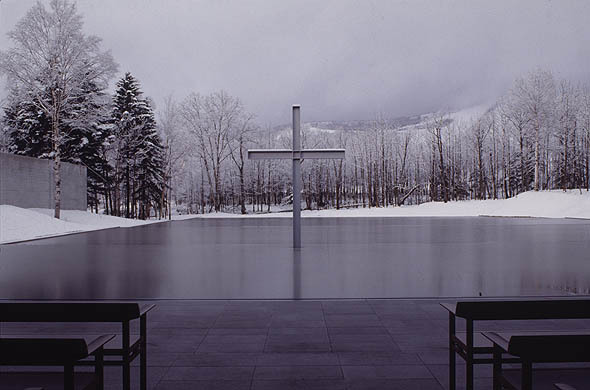 It is a characteristic of many of Ando’s later works, which – because of their enormous scale and in deference to the delicacy of their exquisite settings – abandon the conventions of architecture for the pretensions of land art. That’s why his representational image of choice has become the aerial photograph, the celebration of an abstract concept over the physical reality. Of course, there are still hauntingly beautiful moments to enjoy – an elliptical lotus pond the size of a football pitch, a mountainside of regimented flower tubs, a million scallop shells forming a shallow artificial beach. But these decorative devices, cloaking and concealing buried buildings, have grown increasingly fantastical as Ando has worked for the fashion industry – for Benetton, Armani, Issey Miyake and Karl Lagerfeld. 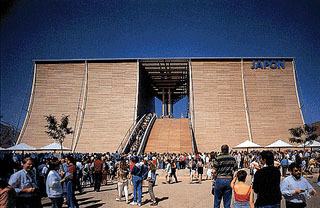 And no number of monumental staircases – despite thrilling overtones of Piranesi, de Chirico or Escher – nor architectural motifs recycled from his earlier days can conceal the fact that Ando will be remembered and revered not for what he will do, but for what he has already done, in the 1970s and 1980s. He knows it himself. 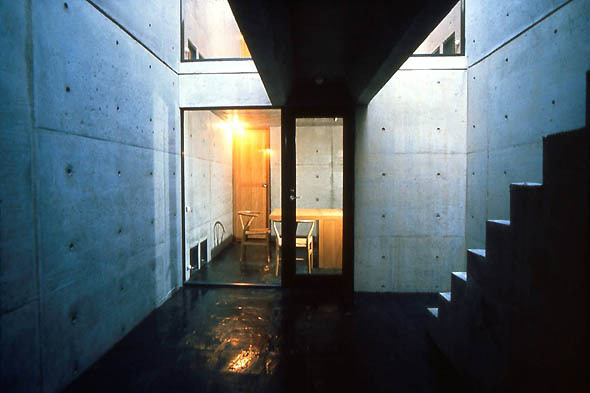 The two images he chose to sketch as dedications to those who bought his book in Dublin were completed then: the Azuma row house in Sumiyoshi – which influenced works in Ireland as disparate as O’Donnell + Tuomey’s Hudson House in Navan, Boyd Cody’s Ballagh House in Dublin’s Broadstone and Ronald Tallon and Michael Warren’s 1798 memorial at Oulart, County Wexford – and the Church of the Light in Osaka. 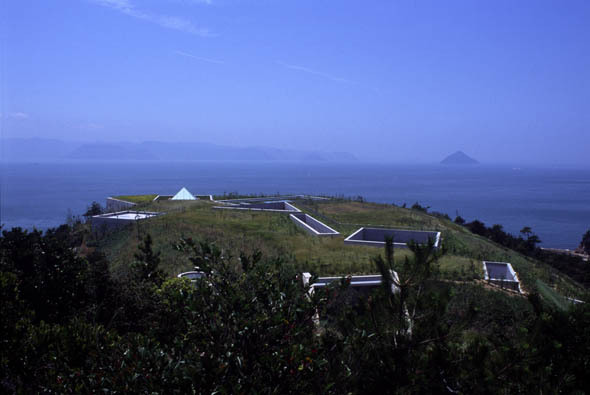 Of his recent output, only the tiny 4×4 beachfront tower house in Kobe comes close, but even here the once-contemplative courtyard has become a cyclopean eye in the sky. 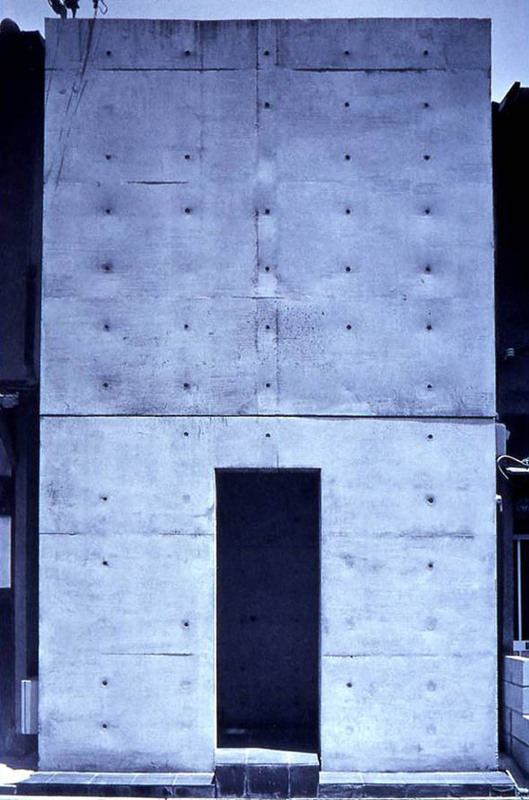 Back then, Ando’s introspective architecture – shutting out chaotic urban surroundings but admitting light and an intimate representation of nature – was seen as a form of resistance mediating between universal modernisation and rooted cultures everywhere. Combining the balance of judo with the brute force of boxing, he transformed the ephemeral Shoji screen of traditional Japanese houses into a massive protective shell against an alienating world. That’s where his greatness lies. That’s why he became one of the godfathers of minimalism. 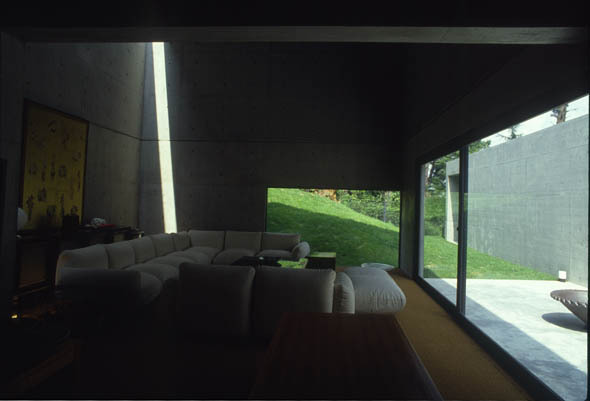 He used the industrial materials of our time – steel, glass and, gloriously, concrete – to make dense, compressed, poetic spaces unlike any that had been before. “I wanted to make concrete more beautiful than the natural stones,” he says. 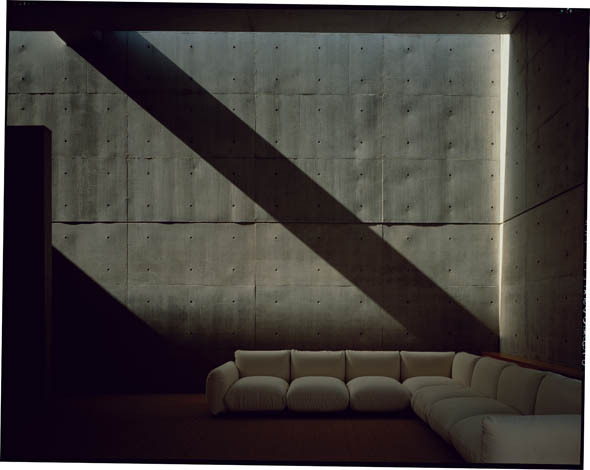 Ando’s quilted concrete, with its undulating tatami modules, ripples like muscle beneath a skin tattooed with bolt holes. Skin you want to touch, a surface unique in world architecture, that comes alive in the light, made sleek with all the narcissistic perfection of a professional bodybuilder. “Some people presumed that because I was a boxer, I was punching people on site so they would make it as beautiful as possible,” he says. “It wasn’t true.” He did, however, force clients to employ students to maintain the concrete surfaces every five years by brushing them gently with toothbrushes. “Because we worked hard to build it, the people living there must also work hard,” he says. Ando might not have punched the builders, but his early works were forged in the furnace of the boxing ring. Beautiful as a haiku, this is architecture as a martial art – the claustrophobic enclosure, the almost terrifying austerity, the intense mental discipline. Which makes it all the more sad that Ando’s current work is no longer radical or genuinely transformative. 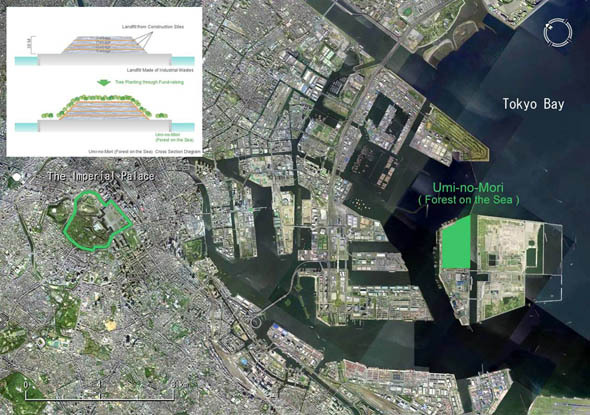 In Dublin he launched the international leg of his latest campaign, Umi-no-Mori or Forest on the Sea, which aims to recruit millions of subscribers worldwide to transform a 100-hectare mountain of rubbish in Tokyo Bay into a green island of trees as part of Tokyo’s bid for the 2016 Olympic Games. “Join in to save planet Earth,” he said to his audience. As an exercise in consciousness-raising in an effort to reduce global warming, Ando’s campaign may be worse than useless. The mountain of rubbish will still be there, only beautified. Out of sight, out of mind, as it were.